Photo (CC BY-SA 2.5): Vodnik / Wiki. Some rights reserved.Ukraine’s new law on education came into force on 28 September: the previous regulatory document had been around for 26 years. This new law has been four years in the making: three to debate its content and one for amendments between its first and second reading (100 were added at this stage). 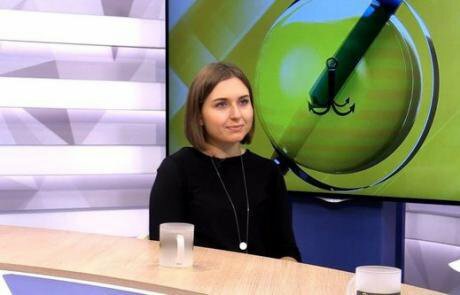 After the law was finally passed, Ukraine’s Minister of Education Liliya Grinevich called it “the key instrument for modernising Ukraine’s education system and bringing it up to EU standards”. In Hungary and Romania, however, a serious row has arisen over Paragraph Seven of the new law, which regulates the language of instruction for Ukraine’s ethnic minorities. The Hungarian government reacted to the new law by threatening to “hit back hard over Ukraine’s future” —in other words, to block any Ukrainian initiatives within the European Union’s Eastern Partnership and initiate a re-examination of the EU-Ukraine Association Agreement. In September, Romanian President Klaus Iohannis cancelled a visit to Ukraine, saying he was “unpleasantly surprised” that the Ukrainian Parliament had, “without any preliminary discussion with Ukraine’s partners”, passed a law “placing strict limits on the rights of ethnic minorities to be taught in their own language(s)”. On 28 September, Ukraine sent the text of the new legislation to the Council of Europe’s Venice Commission; meanwhile the Council’s Parliamentary Assembly (PACE) announced that it failed to “ensure the necessary balance between the country’s state language and the languages of its ethnic minorities” but refrained from any further comment. The Venice Commission’s adjudication is due to be published by the end of the year. What do the new language regulations mean in practice? 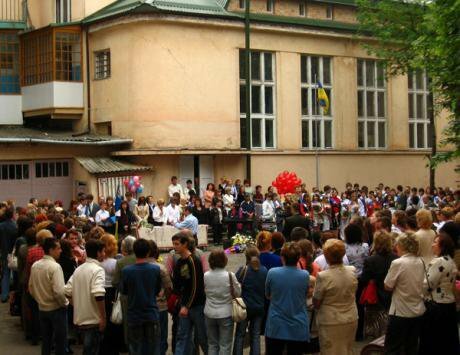 There are currently around 400,000 members of ethnic minorities in Ukrainian schools. 356,000 of them are ethnic Russians, who have 581 schools where teaching takes place in Russian, while slightly over 16,000 children attend 75 Romanian-language schools and 71 Hungarian-language schools. There are also three schools where the teaching language is Moldovan and five - Polish. A large proportion of Ukraine’s ethnic minority communities live in Zakarpattia, in south-western Ukraine. In 2017, 54% of the region’s school leavers couldn’t pass the basic exam — an external Ukrainian language test that is obligatory for being accepted into higher education, and so couldn’t go on to study at a Ukrainian university. This fact was one of the official reasons for increasing the use of Ukrainian as a teaching medium in schools. What this means is that children from ethnic minorities will be taught for their first four years at school in their own language and take separate Ukrainian language lessons. From the fifth grade, they will have a bilingual education — a clause in the law allows “a couple of subjects” to be taught in an official EU language. Their community’s language and literature will be taught as a separate subject. In Russian-language schools, all subjects apart from Russian language and literature (and in certain cases, connected subjects such as Russian cultural history) will be taught in Ukrainian. Crimean Tatars, as members of an indigenous people in Ukraine may learn in either Crimean Tatar or Ukrainian. However, despite this formal right, there are no schools teaching in Crimean Tatar, and individual classes only in the village of Novooleksiyivka in Kherson region. The chances are, however, that there will be more classes in the future, as Crimean Tatars have settled all over continental Ukraine. The new law also states that schools have until 2020 to implement the new rules, although it gives no guidance on what might happen to schools that don’t comply. Olesya Kalinich, a teacher of Ukrainian language and literature at a boarding school in the Zakarpattia region, tells me that students in her school’s 10-11th grade Physics-Mathematics stream have one hour of Ukrainian language a week, those in the general stream, two hours a week and those specialising in Humanities have four hours a week. Ukrainian literature is studied separately, with two to four lessons a week depending on their specialisation. But the language requirements for school leavers applying to universities are the same for everyone, whichever language they have been taught in at school. Irina Genich, mother of a third-grader and an IT teacher at Mykolaiv School No 19 in southern Ukraine, where Russian is the teaching language, has no problems with the new law. Teachers and parents of children at Hungarian-language schools that we spoke to refused to speak openly about their teaching language, to avoid giving politically charged answers. They worry that the switch from Hungarian to Ukrainian as the teaching medium might be too sudden and that there will be less Hungarian, but aren’t rushing to conclusions. Ukraine’s new education legislation covers more than linguistic issues. There will supposedly be more money for the education system as a whole, mainly thanks to a planned seven percent of annual GDP being allocated to education, but also to decentralisation in the system. In 2017 education was allocated 168.4 billion hryvnya, but in 2018 the figure should be 217.8 billion. One of the main changes is the introduction of 12-year school education. All children starting school in 2018 will have 12 years of obligatory education; those already at school now will, however, still have just 11 years. “In our school we teach Ukrainian at the same level as Russian, English and German, with the same number of lessons in each.” Photo: Mykolaiv School No 19 / Flickr. All rights reserved.But it is this extra year of schooling that has been the most controversial thing in the new law, and not only in Parliament but among parents, who are complaining about the curriculum being weighed down by “unnecessary” subjects. The politicians say that the extra year added to secondary education will relieve pupil stress and make learning smoother. So there will be no grading of pupils in the first two, introductory years of school and the three senior years at the other end will allow for specialisation and a choice of subjects. Learning will be divided into cycles at different levels: introductory-play, basic, introductory and basic subject-defined. To move up from one level to the next, pupils will have to pass a test, but it will only be definitive at primary level: after that it will be more of a review of the quality of education they are receiving. The new law also emphasises the need for school self-governance. Schools may, for example be able to decide whether pupils should assemble in the playground on 1 September, the first day of the academic year, or whether they should have to wear school uniform. Apart from standard school education, other things such as distance learning (online), external (independent), family or parental teaching (homeschooling) and home teaching (when a teacher visits a child at home if s/he can’t attend school for health reasons). Up until now, distance and external learning have only been available in a very few schools. The rules for educating children with disabilities and additional support needs are separate from those of the mainstream. The expectation is that Ukrainian schools will become inclusive and these children will be in ordinary, not special classes. Schools will have to provide Braille and audio textbooks and teaching in sign language. The state must also provide primary and secondary educational facilities in the area where pupils live. Children living in villages without local schools should be provided with free bus transport paid for by the local authority, and the buses should be accessible for disabled pupils. Children currently follow a unified curriculum drawn up by the Ministry, but the central section of the new law talks about a child-centred approach to education, where teachers will not be forced to follow a syllabus but be at liberty to plan the learning process independently and have their lesson plans accredited. The main thing will be to attain the results specified by the official curriculum at each stage, but how it is done is no longer of any importance to the ministry. It’s also expected that there will be fewer checks on schools, and inspections and performance reviews will be a thing of the past. The education system will be monitored by a new educational quality body that will check schools and draw up recommendations once every 10 years. The use made of parental, state, charitable and sponsorship funding will be transparent: all educational facilities have to publish their annual accounts on their websites. The law also requires schools to provide free access to data on the amount and sources of all charitable donations they have received, the results of the monitoring of their professional standards, data on teachers and lists of services paid for and a cost breakdown of the finance received by the school from the local authority (at present, these figures have to be specially requested). Parents will be able to sit on school Boards of Trustees, which will elect head teachers, monitor budget implementation and be involved in the development of development strategies. If a conflict arises between parents and a school, the educational ombudsman, appointed by the government for a five year term, will step in to help resolve it. The law also guarantees that public funds will “follow the child” if he or she attends a private school: the school will receive state funding at the standard rate of spending per pupil (currently 10,000 hryvnya (£288), or 25,000 hryvnya (£718) for a pupil with additional needs). The Cabinet of Ministers still has to decide the rate for next year, and how the money is to be paid to the private school is still to be decided. But this arrangement will not come into force before 1 January 2019. The new law also provides for incentives for teachers, starting with financial ones. Specialist teachers in Ukraine should currently receive a minimum monthly salary of 2,912 hryvnya (£87), but from 2020 this minimum will be more than tripled, to 9,600 hryvnya (£276). If the teacher has a higher qualification, their salary should be also raised by 10% and they should also receive an increment for the number of years they have worked at the school. And should they take an additional voluntary qualification, their pay should go up by another 20% and will be recognised as an official professional assessment (which teachers have to go through every five years). At the same time, teachers will have to do 150 hours of professional development in the course of every five years, but now this will not be at their own expense and will not have to take place in an Institute of Graduate Education, attendance at which teachers have always seen more as a formality than a real opportunity to learn something new. Head teachers will no longer be appointed “from above” (by local educational authorities) — they will now be selected by parents and teachers and appointed for six years, with the possibility of a further six year term. Once appointed, the new head will assemble their own team, choosing teachers for promotion to senior positions and hiring new members of staff. Whether the new legal framework will work or not will depend on the accompanying subordinate legislation and sector-specific regulations, none of which have yet been finalised. Education specialist Viktor Karatov believes that the main thing left to do to change the education management system: “It’s great that the new law incorporates so many rules and regulations, but we need to discover whether they will work. I think that it’s totally impossible to reform our education system from the top. However good a law may be, custom and practice dictate that education will end up reduced to the lowest common denominator. The old power vertical that we inherited from the Soviet years is now carried to the point of absurdity. Teachers and school heads are up to their ears in instructions and directives. Some petty tyrant mayors regard teachers as so much biomass to dance attendance on the bosses.